With apologies to Charles Dickens, I’d like to share a A Tale of Two Cities — West Bloomfield and Ramla, Israel — whose respective Rotary clubs recently signed an “Agreement for Partnership.” They are now officially sister clubs. “Our similar attitudes about the positive influence both our clubs have in our communities fostered the idea of connecting and working jointly with our Israeli counterpart on international projects,” says West Bloomfield Rotary Club member Geebee Thimotheose. You might say it’s a Rotary version of tikkun olam, of helping to repair the world. The motto is “Service Before Self.” That’s been the mission for more than 112 years. The organization has amassed 1.2 million volunteer members in more than 35,000 clubs. 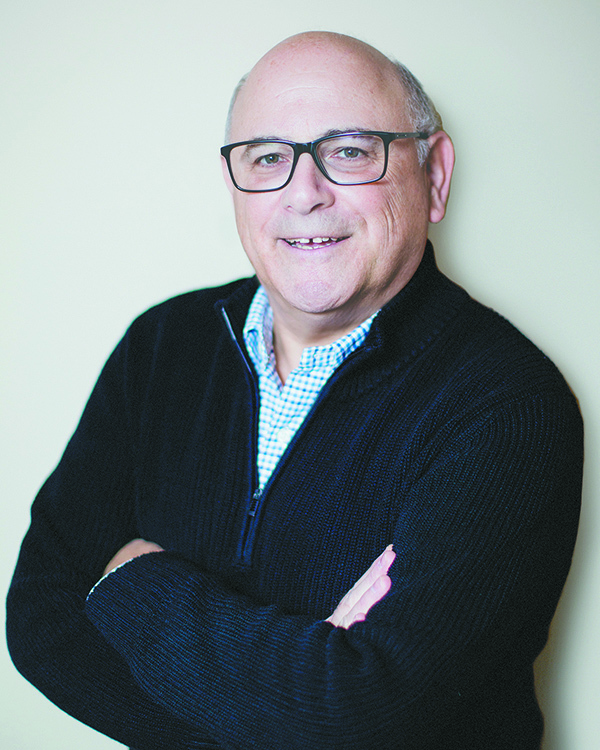 It was during the process of chronicling the burgeoning relationship between the Rotary clubs of West Bloomfield and Ramla that a riveting back story emerged surrounding the circumstances that led to this collaborative union in the first place. As it turns out, the formal introduction and subsequent partnership between the two clubs evolved from sheer coincidence; an unintended consequence of the research and filming for a documentary by Geebee Thimotheose. 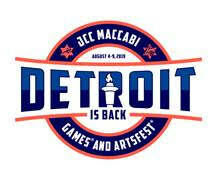 By day, Geebee, 47, is a partner with the Farmington Hills-based private venture capital fund, Kyyba Ventures. But, in his spare time, he’s a passionate historian with an insatiable thirst for learning about his heritage. 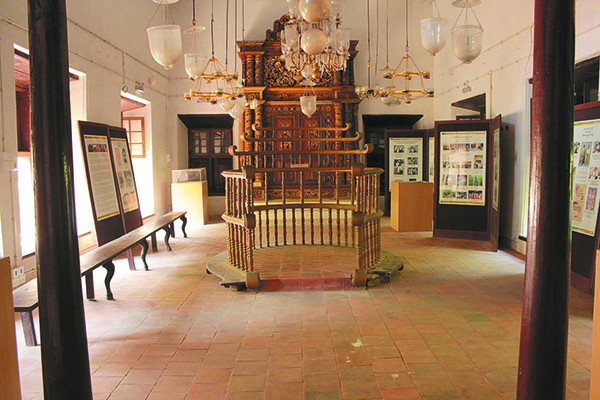 A Nasrani Christian, born in the state of Kerala on the southwest coast of India, Geebee has longed to tell the story of his unique birthplace and how for centuries it has remained a safe haven for people of all faiths — Jews, Christians, Hindus and Muslims. 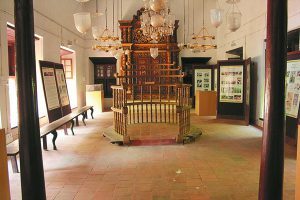 Undeniably though, it’s the story of how the Jews coexisted with their neighbors in Kerala that has had the most profound impact on Geebee. “Kerala,” Geebee says, “tells a different narrative of the Jewish diaspora. India is perhaps the only country in the world where Jews never suffered from hatred and anti-Semitism from the local population.” That theme is at the heart of his documentary. “I want to explore my journey as a Nasrani Christian trying to discover who I am and where I belong from the perspective of Indian Jews who today live primarily in Israel. “In doing so, it’s my hope to answer the question of whether it was their Indian heritage that holds the secret ingredient and perhaps the solution that we all crave — to live in peace and harmony with our neighbors. 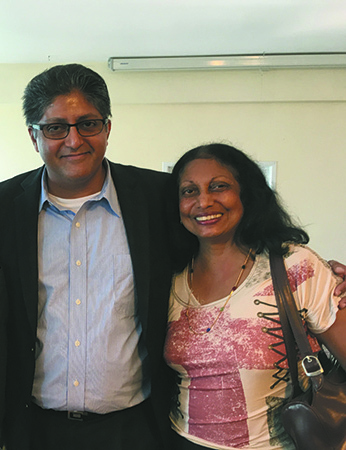 Ironically, Ramla, the new sister club of Geebee’s West Bloomfield Rotary, is home to an estimated 3,500 of the 85,000 Indian Jews residing in Israel. Christianity’s roots in India date back to the arrival of St. Thomas, one of the 12 Apostles of Jesus Christ, in 52 C.E. Christians migrated to Kerala in large numbers between the 4th and 10th centuries, fleeing persecution in the Persian Empire. While ancient trade routes are believed to have initially introduced Jewish merchants to India, the predominant theory is that Jews arrived in two waves. First, and to a lesser extent, as early as 586 B.C.E., after the destruction of the First Temple in ancient Jerusalem by the Babylonians. The majority of emigrants seeking asylum in India would follow more than 600 years later after the destruction of the Second Temple by the Romans in 70 C.E. Born out of years of assimilation, the Indian Jewish population grew to more than 35,000 in the 1940s, sustaining itself until most made aliyah after the creation of the State of Israel. Today, there are fewer than 5,000 Jews remaining in India. The Arabic community alone, both Christian and Muslim, accounts for more than one-fifth of Ramla’s citizenry. It is, therefore, a city that mirrors Geebee’s birthplace of Kerala and, for that reason, has provided the perfect backdrop for his ambitious documentary project. However, what Geebee didn’t know upon his arrival in Ramla, located just 23 miles northwest of Jerusalem, is that his journey as a documentarian and Rotarian were about to intersect in ways he could not have predicted. 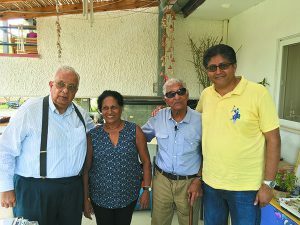 In preparing for his trip to Ramla, Geebee sought the counsel of lifelong friend Nissim Moses, 75, a man he describes as “like an uncle.” Born in Bombay, Nissim made aliyah to Israel in 1966. He fought and was injured during the Yom Kippur War. 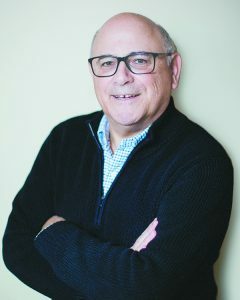 His research and graduate work at the Technion-Israel Institute of Technology in Haifa eventually led to a career as an acoustics engineer with Israel Aircraft Industries (IAI), where he founded and headed up its acoustics department for 28 years. During his tenure there, Nissim would be instrumental in securing defense contracts that would rank Israel behind only the United States and Russia as the third largest supplier of military goods to India. Like Geebee, Nissim is a passionate historian. He is the author of Bene Israel of India, a testimony to his deep and abiding love for his Jewish Indian ancestry. The book was introduced in Israel in 2015 at the third national convention of the Jews of India. 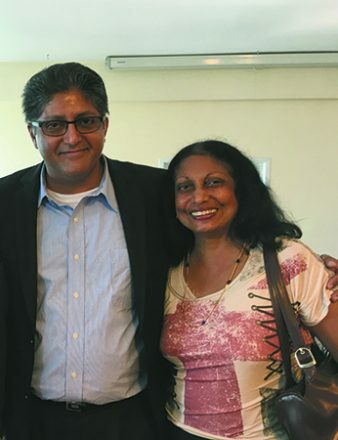 For the purpose of this story, Nissim’s role would come in the form of an introduction to a close friend of his, Kerala-born Zipora Meir, a retired banking executive who now lives in Ramla. Zipora, 68, whose family migrated from India in the 1970s, was the beneficiary of the tolerance afforded the Jews of Kerala. She shares the same sentiment expressed earlier by Geebee that “India is one of the rare countries where Jews did not suffer from anti-Semitism.” Nissim knew she would prove to be an invaluable link to Geebee’s Indian heritage and a significant resource for his documentary. Zipora facilitated many introductions for Geebee that led to interviews for his documentary in more than a dozen cities across Israel. He met with Indian Jews from all walks of life including renowned doctors, educators, entrepreneurs, artists and military personnel. However, it was one meeting, a gathering at the home of Zipora’s 87-year old uncle, Bezalel Eliahu, also a Kerala immigrant renowned for creating Israel’s first modern greenhouse, that Geebee and Zipora would learn they had more in common than just the place of their birth. The Rotary clubs of West Bloomfield and Ramla, once a world apart, are now linked by their shared mission to change the world for the better. To that end, the clubs are already exchanging ideas and developing programs that reflect their common interests, including an international initiative focused on the needs of today’s youth. 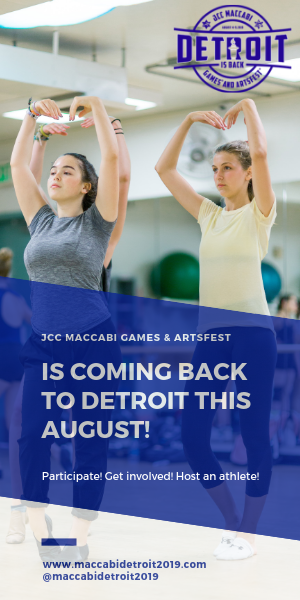 Plus, both clubs are also working on a cultural exchange program where they’ll host a delegation from each club in Ramla and West Bloomfield. Maybe it’s more than a coincidence then, beshert perhaps, that this perspective runs parallel to the theme of Geebee’s documentary that brought him to Israel in the first place — to learn how nearly 2,600 years earlier the ancient Indian Jews of Kerala, centuries away from making aliyah, lived in peace and with tolerance among their Hindu, Christian and Muslim neighbors. His documentary is tentatively scheduled for release in the spring of 2018 to correspond with the 70th anniversary of Israel’s independence. We can only hope that from their two small corners of the world, the steps taken by the Rotary clubs of West Bloomfield and Ramla will help remind us there are still extraordinary people from diverse backgrounds joining together to do extraordinary things to improve the human condition.